While I am not a Catholic, I am very sympathetic to the concerns and insights of many of my Catholic brothers and sisters. 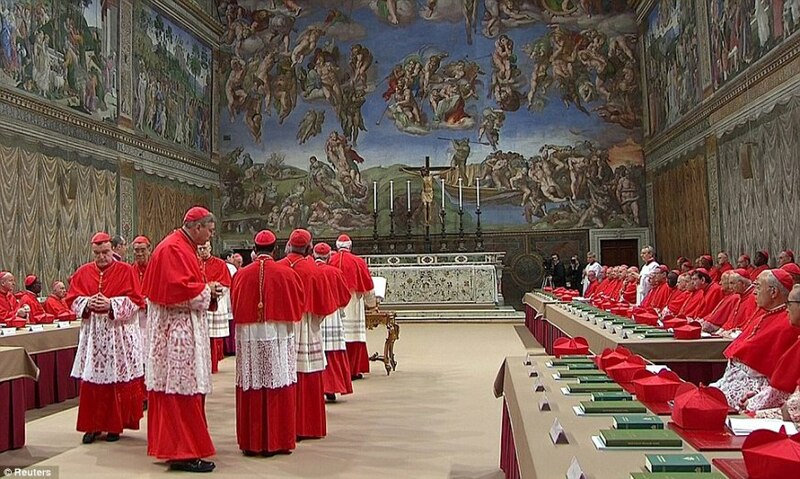 Here are a few thoughts on the current papal conclave. I think that it first of all is important to remember during this papal conclave that there are a lot of behind-the-scenes things of which the media does not seem to be aware. Right now most of the media are concentrating on the demographic and geo-political dimensions of the choice of a pope. But my suspicion is that there are other factors which are probably more important even than geo-political considerations to the cardinals who are participating in the conclave. I mean in particular the personal relationships formed over many years among the various different members of the College of Cardinals. A lot of these guys have gone to seminary together, have participated with each other in church functions for many years, and have observed each other’s personal lives from a close perspective for a long time. Many of them know each other quite well – not just as acquaintances, but even more as deep friends and co-laborers for the sake of the church. I suspect that this close sense of personal attachment probably factors into their decision-making to a much greater degree than the geo-political considerations on which the writers at the New York Times and the Washington Post are concentrating. But of course their personal relationships and their knowledge of each other’s personal spiritual lives are not the kinds of things that are very visible to the public at large. So they are not the kinds of things that make for good newspaper articles. But I am confident that the new pope will be elected in large part because of his personal relationships to other cardinals and because of the other cardinals’ confidence in his personal integrity and spiritual life. I agree! The secular news media is only at home with the more familiar political campaigning and thus describes every type of election in that way. The papacy is not a high-level “job.” It is a responsiblity most, if not all, men are hesitant to accept for fear of being inadequate. Pope Benedict XVI is the most recent example. But it is that humility which makes for the best leader in this situation. Reminds me of General Eisenhower who said he mistrusted any officer, especially a general, who said he liked war. I’m confident another good leader of the Church will be chosen.